"As far as the two great themes of “reason” and “freedom” are concerned, here we can only touch upon the issues connected with them. Yes indeed, reason is God's great gift to man, and the victory of reason over unreason is also a goal of the Christian life. But when does reason truly triumph? When it is detached from God? When it has become blind to God? Is the reason behind action and capacity for action the whole of reason? If progress, in order to be progress, needs moral growth on the part of humanity, then the reason behind action and capacity for action is likewise urgently in need of integration through reason's openness to the saving forces of faith, to the differentiation between good and evil. Only thus does reason become truly human. It becomes human only if it is capable of directing the will along the right path, and it is capable of this only if it looks beyond itself. Otherwise, man's situation, in view of the imbalance between his material capacity and the lack of judgement in his heart, becomes a threat for him and for creation. Thus where freedom is concerned, we must remember that human freedom always requires a convergence of various freedoms. Yet this convergence cannot succeed unless it is determined by a common intrinsic criterion of measurement, which is the foundation and goal of our freedom. Let us put it very simply: man needs God, otherwise he remains without hope." (Spe Salvi, No. 23). But don't expect Louis Villarrubia of the Saint Benedict Center cult to acknowledge these facts. After all, he's not an historian. I won't say I told you so. Oh what the heck: I told you so. Let us all give thanks to the Lord Jesus for this happy development and for His wonderful gift to the Church: Pope Benedict XVI! Thus the existence of evil and suffering in the world is a proof, not that God is either Good but powerless, or All Powerful but not good. On the contrary, it is a proof that God is both loving and omnipotent. Only absolute love could grant unhindered freedom, and only omnipotence can endure the operation of that freedom." In the same fashion, Louis Villarrubia's Saint Benedict Center has published an article by Gary Potter at its website which refers to the Shoah as the "so-called Holocaust" and which states that our understanding of wartime Germany today is largely the result of "Zionist enterprise." Louis Villarrubia was being truthful when he admitted to Mary Richardson [on the ABC television program Chronicle] that he is not an historian. All the more reason then that he should defer to reputable historians and their consensus as to the reality of the Holocaust. But if Louis Villarrubia is in fact not an historian (as he has freely admitted) why then has he stated that the Jewish People "undermine public morality"? Perhaps we should invite Mr. Villarrubia to cite reputable historians who share this view? The key word here being "reputable." Not anti-Semitic individuals like Fr. Denis Fahey. Let's challenge Mr. Villarrubia, but let's do so with charity. If Mr. Villarrubia fails to rise to the challenge, then we can say with honest conviction and certainty that he is not being honest. When challenged to provide others with the dimissorial letters granting him canonical permission to be ordained to the diaconate, Mr. Villarrubia fell strangely silent. When asked how his community may be considered to be in communion with the Catholic Church when the Diocese of Manchester has stated explicitly that his organization has "no affiliation" with the Roman Catholic Church, again he fell strangely silent. What is needed here is open and honest dialogue. To date, I have not witnessed any real interest from Mr. Villarrubia or his followers to engage in such authentic dialogue.Let's pray that this situation will change." "Considering history in the light of the principles of faith in God, we must also reflect on the catastrophic event of the Shoah, that ruthless and inhuman attempt to exterminate the Jewish people in Europe, an attempt that resulted in millions of victims - including women and children, the elderly and the sick - exterminated only because they were Jews." (Meeting with Jewish Leadership, United States, September 11, 1987). The time has come for Mr. Villarrubia (known to his followers as "Brother" Andre Marie) to explain why he refused to acknowledge the reality of the Holocaust on the television program Chronicle. The time has come for Mr. Villarrubia to explain just how his organization is not anti-Semitic when one SBC leader has referred to the Jewish People as the "Synagogue of Satan" and he has referred to them as a people who "undermine public morality." The time has come for Mr. Villarrubia to explain why he has passed himself off as a Deacon in the Catholic Church and to produce the dimissorial letters from Bishop John B. McCormack granting him canonical permission to be ordained to the diaconate. The time has come for Mr. Villarrubia to explain why his organization has passed itself off as Roman Catholic when the Diocese of Manchester has stated that it has "no affiliation" with the Roman Catholic Church and that the Bishop has not given the organization any permission to do ministry in the State of New Hampshire. Will Mr. Villarrubia rise to the challenge? Or will he simply remain silent in the face of so many difficult questions? Are you concerned about the SBC in Richmond, New Hampshire? "We have the truth -- we have wisdom -- only by following the way of Jesus. This means extending our "circle of love." Too often, we reject others on the basis of first impressions. We reject them because they aren't like us, because they are not Catholic, or not the right kind of Catholic, or Christian, or because they look differently -- style their hair in a certain way, or wear a different style of shirt or dress. It becomes "us against them." We form a cult. We become isolated -- instead of reaching out." - Michael H. Brown. "Greater love has no man than this, that a man lay down his life for his friends" (John 15:13). From today on, the Church desires to address as "Saint" a man who was granted the grace of carrying out these words of the Redeemer in an absolutely literal manner. For towards the end of July, 1941, when the camp commander ordered the prisoners destined to die of starvation to fall in line, this man-Maximilian Maria Kolbe-spontaneously came forward and declared himself ready to go to death in the place of one of them. This readiness was accepted and, after more than two weeks of torment caused by starvation, Father Maximilian's life was ended with a lethal injection on August 14, 1941. All this happened in the concentration camp at Auschwitz where during the last war some four million people were put to death, including the Servant of God, Edith Stein (the Carmelite Sister Teresa Benedicta of the Cross), whose cause for beatification is in progress at the competent Congregation. Disobedience to God-the Creator of life who said, "Thou shalt not kill"-caused in that place the immense holocaust of so many innocent persons. And so at the same time, our age has thus been horribly stigmatized by the slaughter of the innocent. Father Maximilian Kolbe, himself a prisoner of the concentration camp, defended in that place of death an innocent man's right to life. Father Kolbe defended his right to life, declaring that he was ready to go to death in the man's place, because he was the father of a family and his life was necessary for his dear ones. Father Maximilian Maria Kolbe thus reaffirmed the Creator's exclusive right over innocent human life. He bore witness to Christ and to love. For the Apostle John writes: "By this we know love, that he laid down his life for us. And we ought to lay down our lives for the brethren" (1 John 3:16). The Church has venerated Father Maximilian as "Blessed" since 1971. By laying down his life for a brother, he made himself like Christ. Gathered today before the Basilica of St. Peter in Rome, we wish to express the special value which Father Maximilian Kolbe's death by martyrdom has in the eyes of God. "Precious in the sight of the Lord is the death of his saints." These are the words we have repeated in today's responsorial psalm. It is truly precious and inestimable! Through the death which Christ underwent on the Cross, the redemption of the world was achieved, for this death has the value of supreme love. Through the death of Father Maximilian Kolbe, a shining sign of this love was renewed in our century which is do seriously and in so many ways threatened by sin and death. In this canonization liturgy there seems to appear before us that "martyr of love" of Oswiecim (as Paul VI called him), saying: "O Lord, I am thy servant. I am thy servant, the son of thy handmaid. Thou has loosed my bonds" (Psalm 115 (116):16). And as though gathering together in one sacrifice the whole of his life, he-a priest and a spiritual son of saint Francis-seems to say: "What shall I render to the Lord for his bounty to me? I will lift up the cup of salvation and call on the name of the Lord" (Psalms 115 (116):12). These are words of gratitude. Death undergone out of love-in the place of one's brother-is an heroic act of man. It is an act through which, together with the one already beatified, we glorify God. For from God comes the grace of such heroism, of this martyrdom. Therefore let us today glorify God's great work in man. Before all of us gathered here, Father Maximilian Kolbe lifts up his "cup of salvation." 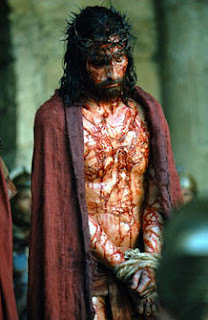 In it is contained the sacrifice of his whole life, sealed with the martyr's death "for a brother." Maximilian prepared for this definitive sacrifice by following Christ from the first years of his life in Poland. From these years comes the mysterious vision of two crowns-one white and one red. From these our saint does not choose. He accepts them both. From the years of his youth, in fact, Maximilian was filled with the great love of Christ and the desire for martyrdom. This love and this desire accompanied him along the path of his Franciscan and priestly vocation, for which he prepared himself both in Poland and in Rome. This love and this desire followed him through all the places of his priestly and Franciscan service in Poland and in his missionary service in Japan. The inspiration of his whole life was the Immaculata. To her he entrusted his love for Christ and his desire for martyrdom. In the mystery of the Immaculate Conception there revealed itself before the eyes of his soul that marvelous and supernatural world of God's grace offered to man. 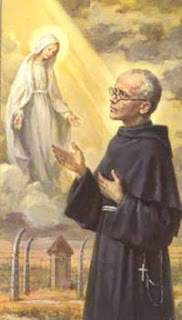 The faith and works of the whole life of Father Maximilian show that he thought of his cooperation with divine grace as a warfare under the banner of the Immaculate Conception. This Marian characteristic is particularly expressive in the life and holiness of Father Kolbe. His whole apostolate, both in his homeland and on the missions, was similarly marked with this sign. In Poland and in Japan the centers of this apostolate were the special cities of the Immaculata-Niepokalanow in Poland and Mugenzai no Sono in Japan. What happened in the starvation bunker in the concentration camp at Oswiecim (Auschwitz) on August 14, 1941? The reply is given in today's liturgy. "God tested" Maximilian Maria "and found him worthy of himself" (Wisdom 3:5). God tested him "like gold in the furnace and like a sacrificial burnt offering he accepted him" (Wisdom 3:6). Even if "in the sight of men he was punished," yet "his hope is full of immortality." For "the souls of the righteous are in the hands of God and no torment will ever touch them." And when-humanly speaking-torment and death came to them, when "in the eyes of men they seemed to have died...", when "their departure from us was thought to be an affliction...", "they are in peace." They experience life and glory "in the hands of God" (Wisdom 3:1-4). This life is the fruit of death like Christ's death. Glory is the sharing of his resurrection. So what happened in the starvation bunker, on August 14, 1941? There were fulfilled the words spoken by Christ to the Apostles that they "should go and bear fruit and that their fruit should abide" (John 15:16). In a marvelous way the fruit of the tragic death of Maximilian Kolbe endures in the Church and the world! In Their Minds It Was Not "Death"
Men saw what happened in the camp at Auschwitz. And even if to their eyes it must have seemed that a companion of their torment "dies," even if humanly speaking they could consider "his departure" as "a disaster," nevertheless in their minds this was not simply "death." Maximilian did not die but "gave his life...for his brother." In that death, terrible from the human point of view, there was the whole definitive greatness of the human act and of the human choice. He spontaneously offered himself up to death out of love. And in this human death of his there was the clear witness borne to Christ: the witness borne in Christ to the dignity of man, to the sanctity of his life, and to the saving power of death in which the power of love is made manifest. Precisely for this reason the death of Maximilian Kolbe became a sign of victory. This was victory won over all systematic contempt and hate for man and for what is divine in man-a victory like that won by our Lord Jesus Christ on Calvary. "You are my friends if you do what I command you" (John 15:14). The Church accepts this sign of victory-won through the power of Christ's redemption-with reverence and gratitude. She seeks to discern its eloquence with all humility and love. As ever when the Church proclaims the holiness of her sons and daughters, as also in the present case, she seeks to act with all due exactness and responsibility, searching into all the aspects of the life and death of the Servant of God. Yet at the same time the Church must be careful, as she reads the sign of holiness given by God in his earthly Servant, not to allow its full eloquence and definitive meaning to go unnoticed. And so, in judging the cause of Blessed Maximilian Kolbe even after his Beatification, it was necessary to take into consideration many voices of the People of God-especially of our Brothers in the episcopate of both Poland and Germany-who asked that Maximilian Kolbe be proclaimed as a martyr saint. Before the eloquence of the life and death of blessed Maximilian, it is impossible no to recognize what seems to constitute the main and essential element of the sign given by God to the Church and the world in his death. Does not this death-faced spontaneously, for love of man-constitute a particular fulfillment of the words of Christ? Does not this death make Maximilian particularly like unto Christ-the Model of all Martyrs-who gives his own life on the Cross for his brethren? Does not this death possess a particular and penetrating eloquence for our age? Does not this death constitute a particularly authentic witness of the Church in the modern world? And so, in virtue of my apostolic authority, I have decreed that Maximilian Maria Kolbe-who after his Beatification was venerated as a Confessor-shall henceforeward be venerated also as a Martyr! "Precious in the eyes of the Lord is the death of his faithful ones!" I've said it time and again: many parishes seem to be allergic to testosterone. Masculinity is not a disease. Why treat it as such? "Jesus is the greatest thing that ever happened to me" - Joe Klecko, four-time pro-bowl defensive star for the New York Jets. "There are Traditional Catholics who rightly understand that much that commonly is said of Germany in the years 1933-45 has the Zionist enterprise behind the saying, but they have let their understanding obscure the reality of the Nazi regime's evil. Some wind up denying it; they become "revisionists." Revisionism is far from wrong in some of its particulars, but the regime was evil, and on many scores. One that is completely irrelevant to this article is the whole question of the so-called Holocaust. We are not going to get into it." (Source: http://www.catholicism.org/july-twentieth-1944.html). Louis Villarrubia refused to answer Mary Richardson on Chronicle when she asked him if he believed in the reality of the Holocaust. Instead he responded that he was not a historian and couldn't remark on the "subtleties" of the Shoah. But if he does not in fact deny the Holocaust, why would he - as "Prior" of the Saint Benedict Center - allow the organization's website to carry an article which refers to the slaughter of six-million Jewish people as the "so-called Holocaust" and which attributes our understanding of this horror as being the result of "Zionist enterprise"? 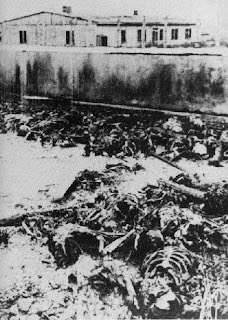 The photo above is taken from: http://www.shamash.org and is a scene of horror at the extermination camp of Maidanek: possibly in a desperate attempt to cover their tracks, the SS burned corpses of victims. Louis Villarrubia, known to members of the Saint Benedict Center cult as "Brother" Andre Marie, has openly promoted the writings of Fr. Denis Fahey, a Redemptorist priest who was known for his anti-Semitism. Fr. Feeney was clearly influenced by Fr. Fahey as was another hate priest: Fr. Charles Edward Coughlin. Fr. Coughlin, a Canadian born Roman Catholic priest, is popularly known as "The Father of Hate Radio." 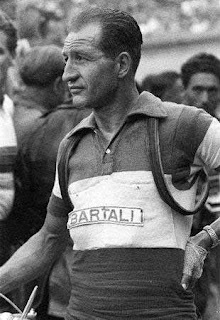 His radio program, which included praises of Hitler and Mussolini, had an audience of more than forty million during the 1930's. Three individuals influenced by the writings of the anti-Semitic Fr. Fahey. Each with his own legacy of hate: Fr. 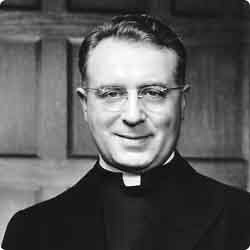 Coughlin in the 1930's, Fr. Feeney in the 1940's and 1950's and Louis Villarrubia from the 1990's to the present. A chain of anti-Semitism. By the grace of God, this chain will be broken. It has already enslaved too many people. "Pius XI responded by issuing in 1937 the encyclical Mit Brennender Sorge condemning the Nazi ideology of racism and totalitarianism and Nazi violations of the concordat. Copies had to be smuggled into Germany so they could be read from the pulpit. As the extreme nature of Nazi racial anti-Semitism became obvious, and as Mussolini in the late 1930s began imitating Hitler's anti-Jewish race laws in Italy, Pius XI made his position clear, both in Mit Brennender Sorge and in a public address in the Vatican to Belgian pilgrims in 1938: "Mark well that in the Catholic Mass, Abraham is our Patriarch and forefather. Anti-Semitism is incompatible with the lofty thought which that fact expresses. It is a movement with which we Christians can have nothing to do. No, no, I say to you it is impossible for a Christian to take part in anti-Semitism. It is inadmissible. Through Christ and in Christ we are the spiritual progeny of Abraham. Spiritually, we [Christians] are all Semites. "(Source: http://en.wikipedia.org/wiki/Pope_Pius_XI). "Being a lover of freedom, when the Nazi revolution came in Germany, I looked to the universities to defend it, knowing that they had always boasted of their devotion to the cause of truth; but, no, the universities immediately were silenced. Then I looked to the great editors of the newspapers, whose flaming editorials in days gone by had proclaimed their love of freedom: but they, like the universities, were silenced in a few short weeks. 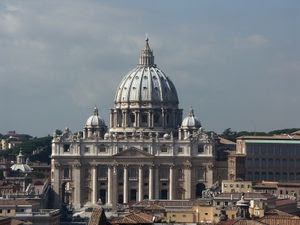 Only the Catholic Church stood squarely across the path of Hitler's campaign for suppressing the truth. I never had any special interest in the Church before, but now I feel a great affection and admiration because the Church alone has had the courage and persistence to stand for intellectual truth and moral freedom. I am forced thus to confess that what I once despised, I now praise unreservedly." - Nobel Prize winning Physicist Albert Einstein, a refugee from Nazi Germany. Is a hacker attempting to find out where I live? I am not a paranoid person. In fact, I try to look for the good in everyone. However, something strange recently happened. A comment was left at this Blog - under the "Continued dishonesty at the SBC Richmond" post - purporting to have been written by Mr. Russell Provost and including his email address. The writer of this comment said (in part): "Big issue coming up is the benefit concert for the SBC being held at Keene State College on December 6th. There will be a big protest.I think it is time we meet in person. I am usually off Thursday and Friday." I responded to this post by writing an email to Russell Provost at the email address provided. I received no response and found this to be very peculiar. Then I noticed something even more strange: the comment had been deleted by the author. Was this an individual attempting to procure my home address? All the more disturbing since I have received threats at this Blog. One suggested that I should have an "accident" while another said that I should be "silenced forever." Happily, I did not include my address when I responded to the email address provided with this comment. I did tell the author of the comment (who I had assumed was in fact Russell Provost) that I would meet him in Rindge, New Hampshire since I had errands to accomplish in that area anyway. As I mentioned above, this comment was deleted by the author. Is someone hijacking Russell Provost's email address in an attempt to find out where I live? If there is anyone with advanced computer knowledge on this subject, I would appreciate any assistance you might be able to offer. I still have the email notification that someone purporting to be Russell Provost left a comment at this Blog as well as my email response to this individual. Meanwhile, at the SBC Watch Blog, someone left a comment referring to myself and Russell Provost (and others opposing the SBC cult) as the Devil's "minions." This is particularly troubling since those who are planning violence against a person or persons will often attempt to demonize the person or persons in an effort to rationalize any intended violence. Tomorrow is Veterans Day. Could you spend just a fraction of the day remembering the sacrifices of those who gave so much - even their lives - for our freedom? And holding high, we keep the Faith With All who died. I love you dad and I miss you. Readers of this Blog will notice that the Amber Alert ticker has been added to the Blog's footer. By clicking on the ticker, you can access more information on a child who has been abducted or who has been reported missing. Back in the mid 1990's I was living in Gardner, Massachusetts. At that time, a priest from the Diocese of Worcester was credibly accused of abusing a young girl from that town. Almost immediately, more than 100 priests from the Diocese signed a letter of support for the accused priest which was published in the Worcester Telegram & Gazette. I wrote a letter to the Editor of The Gardner News in support of the victim and her family. I was denounced at my parish. I was called "sick." One fellow parishioner even asked me why I was getting involved and if I knew the victim. I couldn't help but think of the reply which Cain gave to God when asked about the whereabouts of his brother Abel whom he had murdered: "I know not: am I my brother's keeper?" (Genesis 4:9). The answer to that question, of course, is yes. The accused priest in question was sentenced to some 10 years in prison for the physical and emotional abuse which he had inflicted on his innocent victim, a small helpless child. And why do I relate this? Because, as Pope John XXIII taught us in his Encyclical Letter Ad Petri Cathedram: On Truth, Unity and Peace: "Anyone who consciously and wantonly attacks known truth, who arms himself with falsehood in his speech, his writings, or his conduct in order to attract and win over less learned men and to shape the inexperienced and impressionable minds of the young to his own way of thinking, takes advantage of the inexperience and innocence of others and engages in an altogether despicable business." (No. 11). Last Sunday, the pastor of my parish gave a homily which I found to be very troubling. He spoke of the charges of abuse which have been levelled against certain priests within the Worcester Diocese and of the seriousness of making false accusations. He cited the Commandment: "Thou shalt not bear false witness against thy neighbor" (Exodus 20:16). And I couldn't agree more. However, this priest seemed to imply in his homily that the majority of accusations made against priests have been false and at one point asserted that he and his brother priests live in constant fear of getting a call from the Bishop and of being told to hire an attorney to defend themselves. Granted, there have been false accusations against priests in the past. And these should be roundly condemned. But to suggest that the majority of accusations made by victims have been false ones is simply not honest. It is not the Catholic attitude and it only serves to victimize honest victims all over again. The proper response is to pray for the truth to be revealed in each and every case and to allow law enforcement officials and the courts to do their job. Every person is innocent until proven guilty in a court of law. Every person has the right to due process. But to assume that an accusation is false without giving it a fair hearing is to deny the rights of the victim. In all things, truth should be our primary goal. The more than 100 priests who signed a letter of support for the accused priest mentioned above were simply wrong. They made a judgment in favor of the accused and against the victim without sufficient facts to make such a judgment. And they were wrong. Sentence was imposed. I love the Church. More than anything else in this life. Even my own life. For this reason, I simply refuse to dishonor the Mystical Body of Christ which is the Church by putting personal agendas before truth. This article notes how the priest in question, Fr. Robert Kelley, admits to having abused more than 50 young girls in the past. Catholic activist innocent of all charges. Jury rejects bogus "assault and battery" accusations. Huge defeat for ACLU and homosexual activists! Please take note of how homosexual activists who posted comments at the above-cited articles lost the intellectual debate and resorted to hateful ad hominem attacks. Such attacks are the last resort of those who perceive the weakness of their own arguments.